When her destiny is one of two opposites, which path will Keira's life take her down. And what choice will she have in the direction. Sleeping Beauty with a paranormal twist! Laura is a self confessed book and tea addict, you will rarely find her without one or the other (and often times both) even when she should be doing work towards her degree! 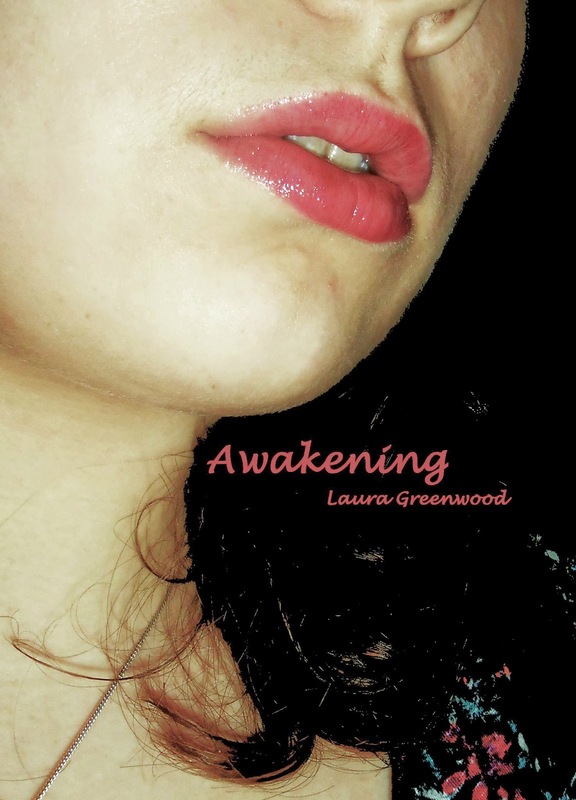 Laura's been reading from a young age, and has been writing for years, though Awakening is the first thing she has had the courage to publish! Avangrey, my domain, my home. I can see its expanse for miles from this tower. This is my sanctuary, my haven, where I find peace from the burdens of my crown. Rising more than sixty feet, it is the tallest of the six towers connecting the inner walls of my castle, giving me a clear view of all that is mine. From here I can cast a watchful eye on the servants scurrying about their duties within the inner ward, the soldiers training in the outer ward, and those patrolling the battlements of the thick walls that protected me from outside dangers. Further past the dark water of the murky moat that surrounds those walls lie the rolling fields and village of Avangrey. The land stretches for miles pass mountains, lakes and cliffs before it finally meets the northern border and the Kingdom of Tou beyond. My eyes scan the western horizon and the thick tall trees of MonRok Forest in the distance pass which is the Kingdom of Kraig. To the east was the never ending desserts of the Wastelands, a dry and deadly barrier between my kingdom and the Kingdom Sim Ra. The monster infested waters of Argon Sea to my back separate Raule from Avengrey. The five kingdoms of Talvan, Avangrey my home, Tou, Kraig, Sim Ra and Raule. Soon they would all be mine. "My Queen we have found it." My thoughts are interrupted by the grizzly voice of Lord Rowan, my captain of the guards. I take a breath and one last look at my kingdom before turning my full attention to him. With a hurried gait I approach, eager to see that he hasn't failed me. I wouldn't be happy if he did, nor forgiving. The expression on his face said little, always stoic. The small wooden box he held out to me was nondescript, except for the small golden latch that sealed its contents from the outside world. I recognize the ruin symbols carved into the cold metal, placed there by a very powerful but long dead witch to prevent it from being opened by mortal hands. I could feel my heart rate spike and a small smile curves my lips. I can barely contain my elation. I reach for the box and savoury the feel of the wood against my skin. The force of the ancient power radiating from every grain of the timber makes my flesh tingle. I am so close to my goal. Perched in the palms of my hands, I lift the container close to my lips and whisper a few ancient words to the latch. A spell just for this lock, to demand it to release its contents to me. The small click of the latch freeing itself echoes though the silent chamber and I realized I had been holding my breath, not at all sure the spell would work, and even more uncertain that my prize was inside. Slowly I flip the lid open, and I feel that small smile widen to near jubilation. I hear my captain retreating from the chamber, but my attention is fixated on the object before me. I reach in and pull out the gem within. It's beautiful. Even more than I'd imagined. It was no bigger than my fist, fitting comfortably within the palm of my hand. The smooth edges of stone caught the light, and the blood red colour contrast sharply with the paleness of my skin. I stare spellbound at this treasure that I'd worked so tirelessly to obtain, that I'd sacrificed so much for. Soon it will all be mine. The box, it's worthless and I toss it to the floor. It ignites before it can hit the cool marble bursting into flames at my silent command.